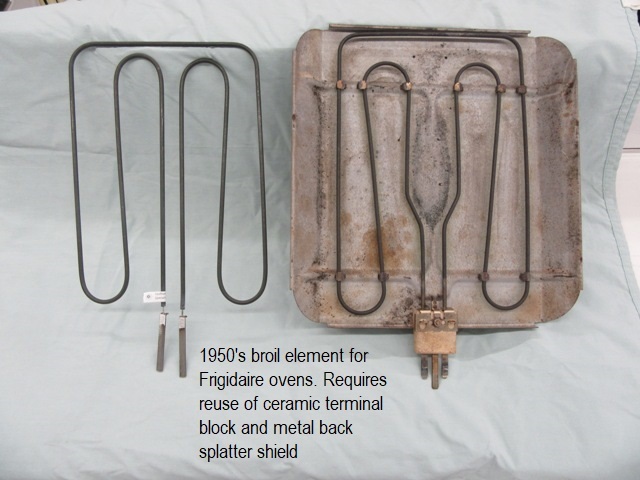 1950's style Frigidaire Broil element. 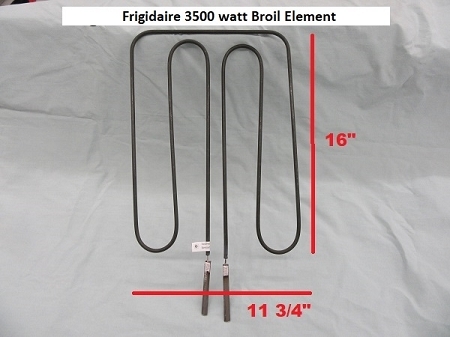 This is the replacement element only. Installation requires that you reuse the original ceramic insulated terminal block that is around the plugin terminals and you must reuse the original metal back splatter shield.